You have read this article design work / shop with the title February 2009. You can bookmark this page URL http://jenkrebs.blogspot.com/2009/02/new-in-shop.html. Thanks! You have read this article giveaway with the title February 2009. 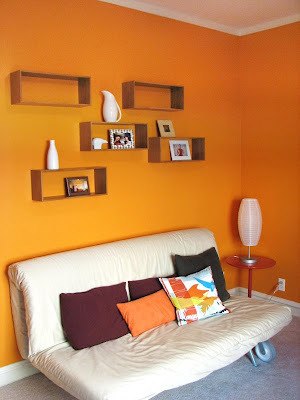 You can bookmark this page URL http://jenkrebs.blogspot.com/2009/02/win-interior-decorating-consultation.html. Thanks! 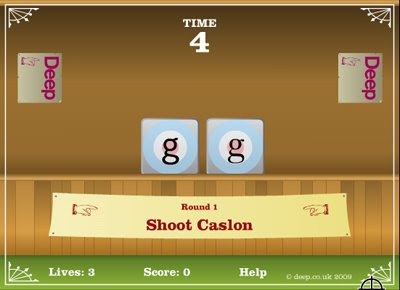 You have read this article fonts / games / time-wasters with the title February 2009. You can bookmark this page URL http://jenkrebs.blogspot.com/2009/02/this-is-trouble.html. Thanks! 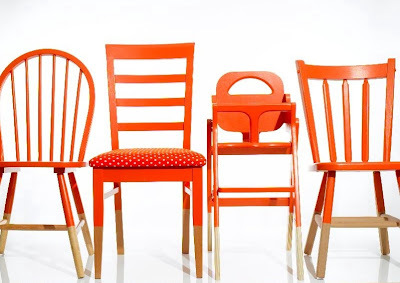 Awhile back, reader Kate sent over a link to this project idea from Cookie Magazine: paint mismatched chairs the same color to make a dining set. I like the 12" of unpainted legs on each piece. Note they carefully chose wood tones that matched each other, or the set might have turned out a little crazy looking. And kudos to Cookie for choosing an excellent paint color. You have read this article decorating with the title February 2009. 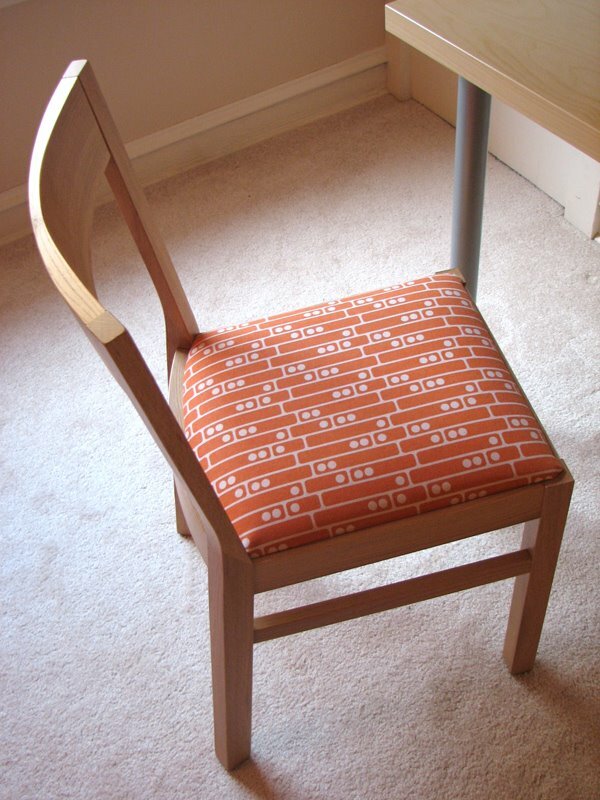 You can bookmark this page URL http://jenkrebs.blogspot.com/2009/02/diy-dining-set.html. Thanks! 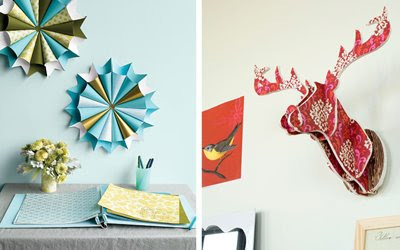 You have read this article decorating / tutorials with the title February 2009. You can bookmark this page URL http://jenkrebs.blogspot.com/2009/02/things-to-make.html. Thanks! A few friends are coming over Sunday night to watch the Oscars, so I searched the trusty internet to find some party ideas. 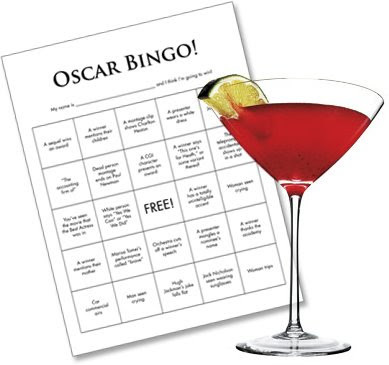 Evite suggested Oscar Bingo, which sounds hilarious, so I googled to find some examples. Then I pilfered a few things other people wrote from here and here and added some of my own squares to make game sheets. Since I went to the trouble, I figured I'd post the PDF here in case anybody else wants to play along during the telecast. (There are ten different sheets in the file.) Whether this game will even work is hard to say. But I think it will be fun to try. And I'll be making some Red Carpet Cocktails for us to sip. Any red drink or punch would be fun, but I'm planning to use this one (scaled down and possibly modified). Have fun! Update: Get 2010 bingo cards here. Get 2011 bingo cards here. You have read this article entertaining / games with the title February 2009. You can bookmark this page URL http://jenkrebs.blogspot.com/2009/02/host-academy-awards-party.html. Thanks! 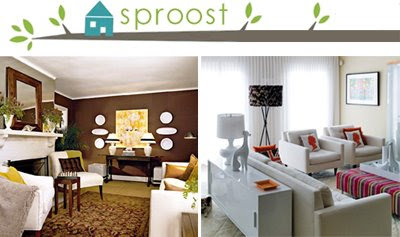 I can't remember where I found it, but Sproost is another fun little quiz to help you learn about your decorating preferences. Rate rooms on a continuum from "Love It" to "Hate It." Try it here! I turned out 71% Vintage Modern, 14% Contemporary, and 15% French Eclectic. You have read this article quizzes / time-wasters with the title February 2009. 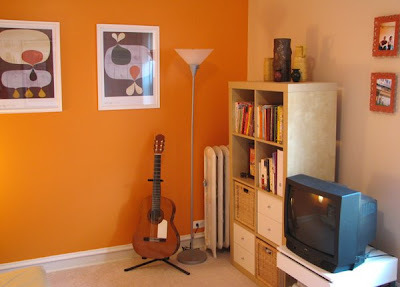 You can bookmark this page URL http://jenkrebs.blogspot.com/2009/02/quiz-find-your-decorating-style.html. Thanks! 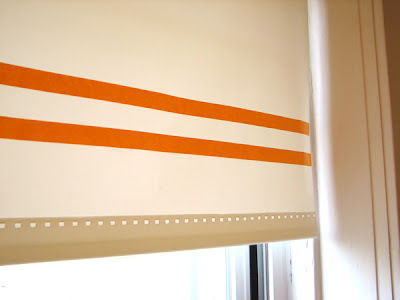 I couldn't resist adding some of my orange tape to this cheap Home Depot shade. And this chair was in perfect shape except for the beige fabric seat, which had an unfortunate encounter with a candle several months ago. (Picture burned holes and spilled wax.) Now it's all better, recovered with some Boardwalk. You have read this article decorating with the title February 2009. You can bookmark this page URL http://jenkrebs.blogspot.com/2009/02/diy-details.html. Thanks! I found some good deals when decorating this room. These bamboo wall boxes were on clearance at Target for $8 each. Half price. I had my eye on them, and when the price dropped, I pounced. They still had them last time I was there, so you might be able to score some. 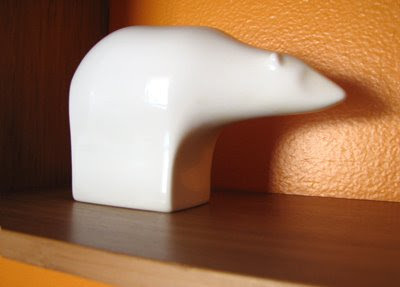 Lookit this polar bear bank! From Etsy seller Blue Bell Bazaar. This little side table was on clearance at CB2, so it was 30-some bucks. And that fun pillow? $4.99 at Urban Outfitters. 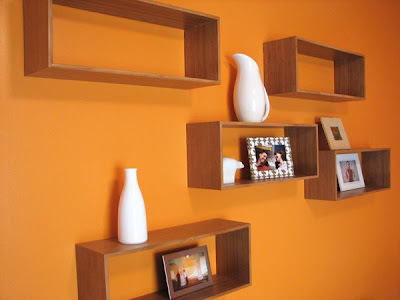 Those orange picture frames are the same guys I spray painted here. 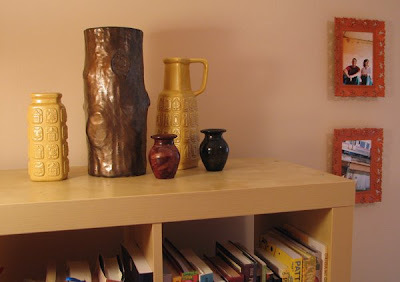 And I picked up that wood stump vase at Target on clearance for about $8. Sales make me very, very happy. You have read this article decorating / home with the title February 2009. You can bookmark this page URL http://jenkrebs.blogspot.com/2009/02/cheap-decorating.html. Thanks! 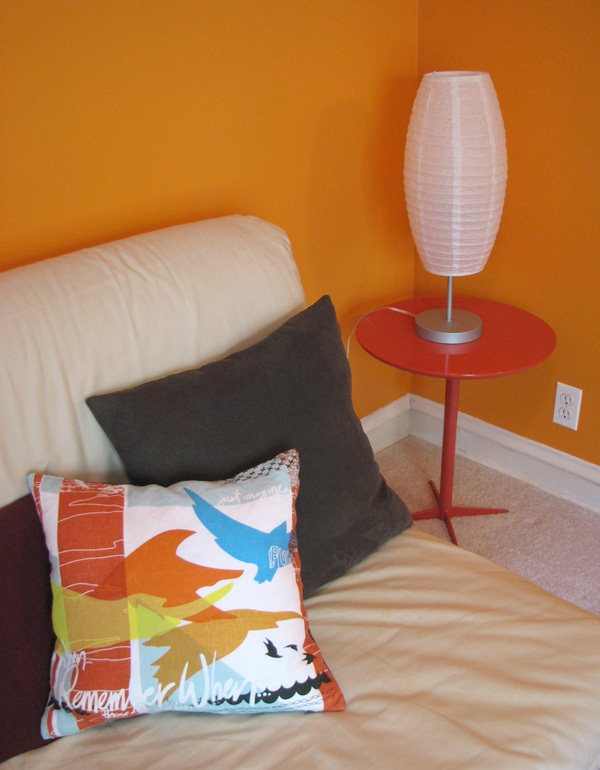 Over Christmas vacation I decided we should paint our guest room orange. Behr Poppy Glow 250B-6, to be precise. Alex obligingly helped, but made me promise we will not paint this room again for five years. Oh, fine. Remember this makeover? I liked it. But I needed more orange. 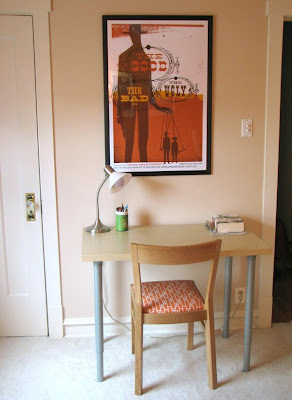 I'll show you more details in future posts, but let me point out these great, affordable Rex Ray posters from art.com. And I know you're admiring our sleek, state-of-the-art TV. You have read this article decorating with the title February 2009. You can bookmark this page URL http://jenkrebs.blogspot.com/2009/02/our-yearly-room-makeover.html. Thanks! Quiz: Are you a good eyeballer? Here's a visual quiz where you can test your ability to eyeball things. Where's the midpoint? When is the line parallel? You get the idea. I started off horribly but improved enough to get a 2.18. I wonder if taking this quiz every day would help train me, so I'd eventually be able to cut paper and fabric without measuring ever again. Hmm. Somehow I doubt it. You have read this article quizzes / time-wasters with the title February 2009. You can bookmark this page URL http://jenkrebs.blogspot.com/2009/02/quiz-are-you-good-eyeballer.html. Thanks! You have read this article shop with the title February 2009. 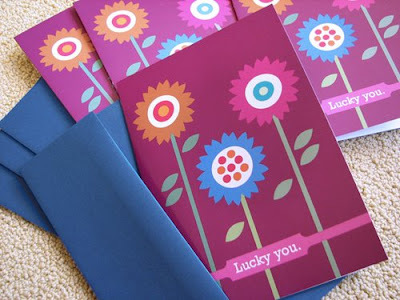 You can bookmark this page URL http://jenkrebs.blogspot.com/2009/02/shop-update.html. Thanks! I was just going through some old posts in the musty, archived boxes in the How About Orange basement. I found these, which I had forgotten existed: some Valentine desktop wallpapers I'd made a couple years ago. Click here to go to the original post. You have read this article desktops with the title February 2009. You can bookmark this page URL http://jenkrebs.blogspot.com/2009/02/valentine-day-desktop-wallpaper.html. Thanks! 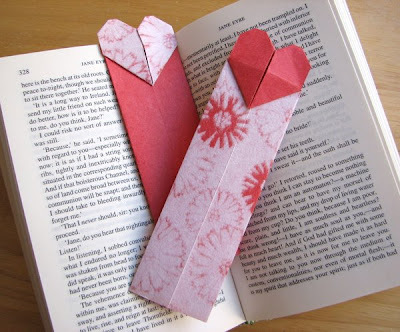 Here are some little folded heart bookmarks you can whip up in minutes. I used instructions from Origami Club. Click here, then look for the "Useful Origami" section. (Not "Easy" or "Fun." No. Those categories are for other things.) 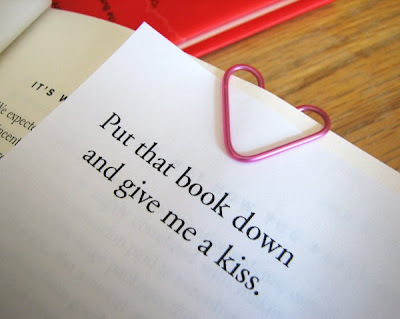 Once in the "Useful" section, scroll down to "Bookmark of Heart." I have to admit that on my way there I got distracted by "A Cake case with shirt." What? Anyhow, happy folding. You have read this article origami / paper / valentine's day with the title February 2009. You can bookmark this page URL http://jenkrebs.blogspot.com/2009/02/origami-heart-bookmarks.html. Thanks! Mousepads are HALF PRICE in my Etsy shop this week. Just in case your desk needs some sprucing up. Or it's your boss's birthday. You can tell her it's a fantastic high-end designer mousepad. She doesn't have to know you only paid 5 bucks. You have read this article shop with the title February 2009. 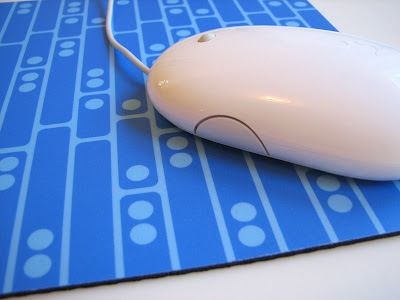 You can bookmark this page URL http://jenkrebs.blogspot.com/2009/02/shop-announcement-5-mousepads.html. Thanks! 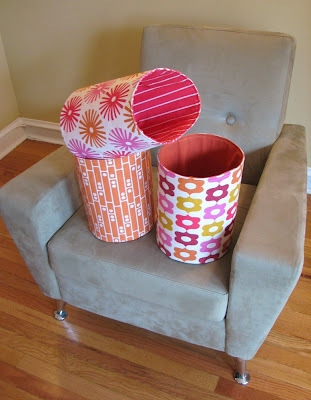 JCaroline Creative just posted a new tutorial for a sturdy tote bag. Click here to check it out. You have read this article bag / fabric / sewing / tutorials with the title February 2009. 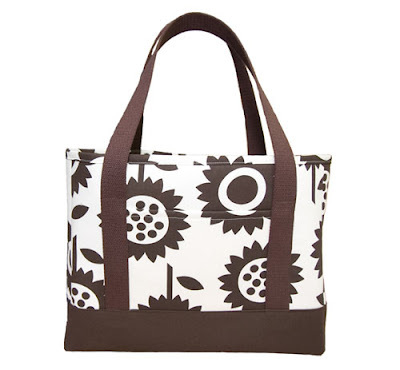 You can bookmark this page URL http://jenkrebs.blogspot.com/2009/02/tote-bag-instructions.html. Thanks! Okay, so maybe ya don't like bacon. 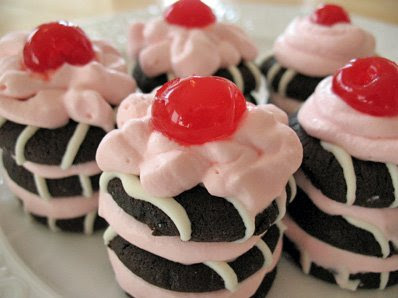 Try making these pretty Valentine treats instead, recipe and photo compliments of Little Window Shoppe. They seem awfully easy to make, and the results look quite pink and fancy. I think I'll have to try this. You have read this article recipes / valentine's day with the title February 2009. You can bookmark this page URL http://jenkrebs.blogspot.com/2009/02/cherry-chocolate-wafers.html. Thanks! This blog needs more bacon. Don't you think? Baconize it! Yum. Or add some bacon to your own site. You have read this article time-wasters with the title February 2009. 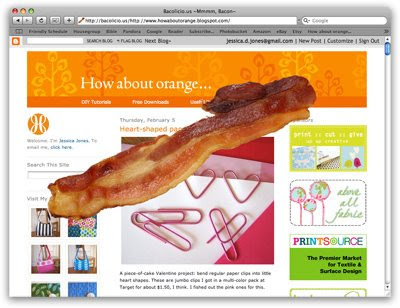 You can bookmark this page URL http://jenkrebs.blogspot.com/2009/02/this-blog-needs-more-bacon.html. Thanks! You have read this article tutorials / valentine's day with the title February 2009. 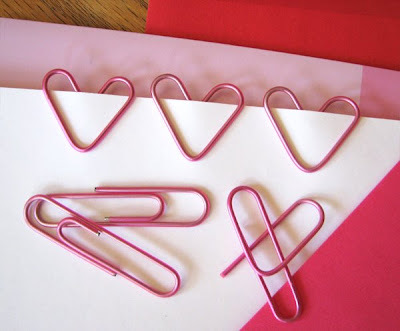 You can bookmark this page URL http://jenkrebs.blogspot.com/2009/02/heart-shaped-paper-clips.html. Thanks! I saw this quiz mentioned on Curbly and had to give it a whirl. IKEA has an online tool that will tell you what your design style is. Of course it's based on their own product line, so your style choices are limited to what they sell. (Sorry, Southwest lovers. No Navajo rugs for you here.) I came up "Modern Urban" and was diagnosed as 60% Modern, 40% Scandinavian, and 0% Country. However, I've spent half my life on a farm and have Scandinavian ancestors, so maybe I should be 50% Country, 40% Scandinavian, and 10% Modern. Hmmm. Regardless, I am definitely 0% Southwest, because adobe does nothing for me. Unless it's computer software. You have read this article quizzes / time-wasters with the title February 2009. 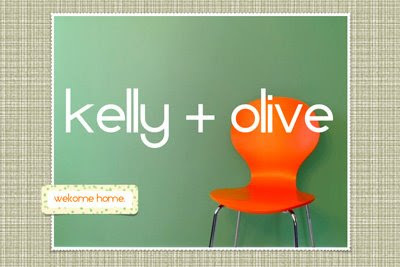 You can bookmark this page URL http://jenkrebs.blogspot.com/2009/02/quiz-find-your-ikea-style.html. Thanks! Where can you buy Jessica Jones fabric? A reader wrote in asking if I knew of any online retailers in the UK from whom she could order my fabric. Alas, I don't. In fact, I have no idea which shops carry it besides JCaroline, the mastermind behind the whole fabric undertaking. So I'm asking you guys... if you're a retailer, or you've seen this stuff in a shop somewhere, could you leave a comment here with the shop name and link, if there is one? Thanks. You have read this article fabric / shop with the title February 2009. 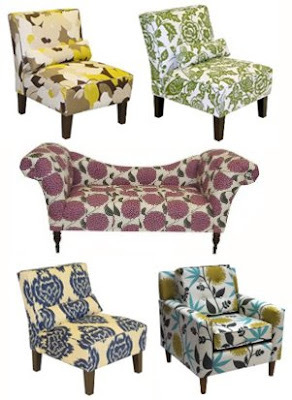 You can bookmark this page URL http://jenkrebs.blogspot.com/2009/02/where-can-you-buy-jessica-jones-fabric.html. Thanks! Tracy from girlzdealz.com just alerted me to these gorgeous chairs at Target. Most are just $299. With free shipping! And when you spend over $125 you get 15% off. Check out this orange one. Offer ends 2/7/09. You have read this article shop with the title February 2009. 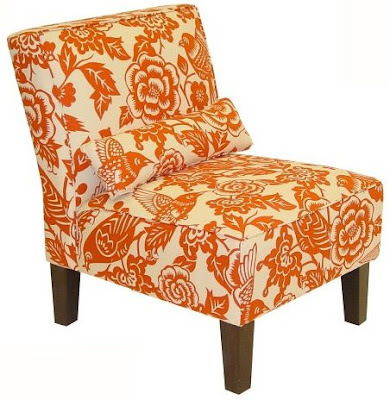 You can bookmark this page URL http://jenkrebs.blogspot.com/2009/02/patterned-chairs-at-target.html. Thanks! You have read this article fabric / felt / paper / tutorials / valentine's day with the title February 2009. 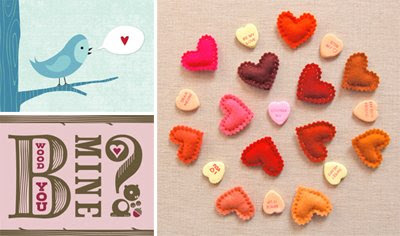 You can bookmark this page URL http://jenkrebs.blogspot.com/2009/02/valentine-projects.html. Thanks! You have read this article fabric / sewing / tutorials with the title February 2009. 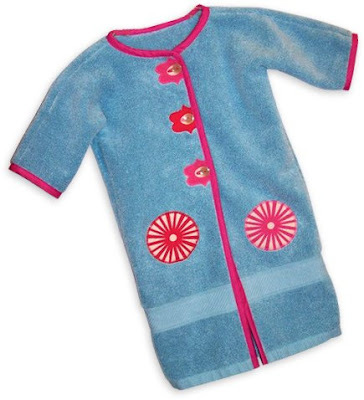 You can bookmark this page URL http://jenkrebs.blogspot.com/2009/02/pool-robe-with-applique.html. Thanks!